We are honoured to announce that the UAE Telecommunications Regulatory Authority, TRA has agreed to support and endorse HITBSecConf2007 - Dubai. In addition, the Director General of TRA, HE. 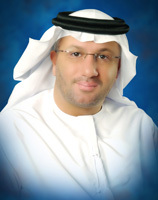 Mr. Mohamed Nasser Al Ghanim has agreed to present the Welcome Address on Wednesday April 4th 2007 at 8:50am. Please take a look at the conference agenda for the full programme details. Mohamed Nasser Al Ghanim is one of the few telecom engineers in the United Arab Emirates who, in a short period of time, achieved great accomplishments both on the academic and the career sides. Currently, Mohamed Al Ghanim is the Director General of Telecommunications Regulatory Authority (TRA) which is entrusted with regulating all of the Telecom sectors in UAE; a vital sector, which comes second only to Oil and Gas. Under Al Ghanim’s tenure, TRA has succeeded in implementing the regulatory framework for the sector, including the necessary policies, such as Interconnection Agreements and Pricing Policies, for the creation of a healthy and a competitive environment. During the initial six months of operation, TRA has launched Spectrum National Plan and Spectrum Frequency Chart map. Although United Arab Emirates was the last country in the region to regulate the telecom sector, the national spectrum plan and the chart were the first of their kind in the region. 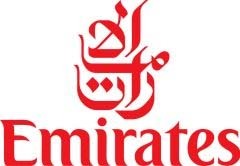 Among other TRA achievements is the licensing of a second operator: Emirates Integrated Telecommunications Company (DU), in addition to the existing operator Emirates Telecommunications Corporation (Etisalat). Additionally, Mohamed Al Ghanim is the UAE executive in charge of UAE Telecom & E-Commerce chapter’s in the Free Trade Agreement negotiations, and the UAE free trade negotiations with the United States and Australia. Additionally, he is the Vice Chairman of UAE Information & Communication Development Fund (the ICT Fund), and Chairman of UAE Institute for advanced Science and Technology. The United Arab Emirates is one of the most developed country in Telecom fields and it is considered the most active Arab country internationally in the workshops and conference organized by the International Telecommunications Union. In addition, United Arab Emirates occupies a unique position regionally and internationally in the field of Telecom and Information Technology, which is attributed to an outstanding generation of UAE telecom engineers, of which Al Ghanim is a very well known name. After graduation from Etisalat college of Engineering in 1994, Al Ghanim joined Emirates Telecommunications Corporation (Etisalat) where he advanced gradually the ladder of management positions through his working career with Etisalat till he achieved the highest managerial post in GMPCS Department. In 1997, he was seconded by Etisalat to work for Thuraya Satellite Telecommunication Company since its inception and worked as Senior Manager Product. During his working years in Etisalat and Al Thuraya, Al Ghanim represented United Arab Emirates in several regional and international telecom & IT related Forums and conferences. Currently, Al Ghanim manages a team of engineers and specialized consultants in the fields of telecom regulatory affairs. They are all working to implement licenses requirements, policies, procedures and instruction.